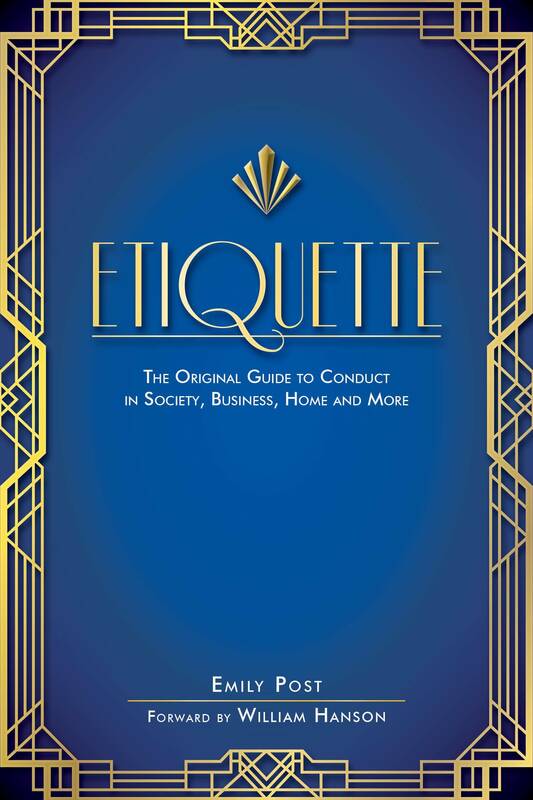 First published in 1922, Etiquette has served for generations as the premiere guide to manners and decorum. It details the nuances of various social settings as well as how to act within them, so as not to offend any parties present. Different settings often call for different conduct. In addition to covering general forms of communication, salutations, greetings, and conversation, this classic manual also details what behaviors and topics are socially acceptable (and unacceptable) at specific events such as weddings, formal dinners, engagements, funerals, christenings, games and sports, business and politics, ball and dances, and many, many more. It will teach you the contemporary time period’s sense of how an individual should conduct oneself, offering tips and tricks long forgotten in an age of impulse, social awkwardness, and conversational disrepair, condoned by our reliance on technology. 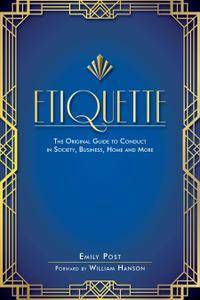 Featuring a new foreword by a leading etiquette consultant, pick up a copy of this stunning new edition of Etiquette—start improving your charm and conversational skills today!